It’s the New Year. Time to get all your ducks in a row and make good things happen. And, to help you do that, I’ve gathered together some of my favorite tools (and tools recommended by writers I admire) to help you be at your best this year. At least when it comes to writing. Whether you’re writing sales copy or tackling major content-marketing campaigns, coming up with the right idea at the right time is powerful stuff. As a writer, words are your tool of choice, but ideas — and the ability to express them well — are your real currency. You need to be certain you have a never-ending source of great ideas. Now, BuzzSumo is a subscription tool. And, not a cheap one, either. It’s a $99 monthly investment. But, if you’re a content marketer or social media expert, it’s one you really should consider. BuzzSumo is a veritable wellspring of ideas. But, not just any ideas. Ideas people are actively showing an interest in already. For example, it shows you trending content, industry influencers, what’s being shared on any topic you care to search on, what’s being shared from specific domains, and who is linking to content. You can do a couple of content searches a day on BuzzSumo without subscribing. And, you can test drive it for 14 days without parting with your credit card information. Give it a spin and see what you think. Quora is a question-and-answer social media network. And, it’s a great place to look for ideas. You can do a search on your topic of interest and see what real people are asking about it. That’s like… content gold. Or, you can ask your own questions and see what people have to say in response. More great content ideas. Generating ideas is just the first step. Having all those ideas is useless if you forget them or can’t find them later. You need a system for capturing your ideas and then recalling them when you want to use them. Evernote is probably the favorite tool for idea capture. With Evernote, you create topical notebooks. Then you add individual notes within each notebook. You can type your notes in. You can record them. You can clip articles and images directly from the Web. You can upload files from your computer. You can even scan images in. You can access it from your smart phone, too, which makes recording ideas on-the-go a snap. And, it’s all searchable. So that makes finding the idea you’re looking for easy. Or at least… easier. Evernote has both paid and free tiers, so give the free version a try and see what you think. All right… so this isn’t a fancy app or a computer program. It really is just a good old-fashioned journal. I love journals for capturing ideas, because they’re already part of my routine, and the best tools are always the ones we use. But, where journals fall down is that, when it comes to finding your ideas, you have to leaf through a lot of material. If you’ve acquired multiple journals over the years, that can be a time-consuming and frustrating process. But, there’s a way to solve that problem. First, dedicate a journal to capturing ideas. Nothing else goes in that journal except for ideas you may use in the future. Second, only capture one idea per page. Third, on the back page of the journal, list the topics most of your ideas fall under, one topic per line. This is your index. And fourth, when you write down an idea, at the edge of the page, black out the line that corresponds to the matching topic in your index. Now, you’ll be able to find ideas by topic at a glance, using your index. It’s a neat trick that makes a journal much more useful. When you’re a writer, being able to write faster results in a huge increase in your productivity. Finding ways to either type faster or move more quickly into (and stay in) the flow of writing will result in getting more done. If you become a faster typist, you’ll become a faster writer almost automatically. That’s because your thoughts move much faster than your fingers can. (I know it doesn’t always feel like it, but trust me. It’s true.) By becoming a faster typist, your hands just catch up with your brain… or at least gain on it a little. Typing.com is a website where you can take a free test to measure how fast you type now, and then where you can play a variety of games meant to improve your typing skill. Well, if you type 50 words per minute right now, you can potentially write a 1,000-word article in 20 minutes, provided you don’t have to pause at all for thinking time. Increase your typing speed to 70 words per minute, and that same article will take about 15 minutes to write. You save five minutes. Not much. Except, if you’re saving five minutes out of every hour, you’re gaining a half hour to 40 minutes back in your day. I don’t know about you, but I can do a lot with an extra half hour. A better typing speed is one way to become a faster writer. Another way is to stop editing as you go. When you edit as you write, you’re constantly switching between your right and left brain… and you never really get into the flow of writing. You never really achieve that magical headspace where your thoughts organize effortlessly, the words come without coaxing, and life is beautiful. So, it’s worthwhile to train yourself to write when you’re writing and to edit when you’re editing… and not to attempt to do both simultaneously. And for that kind of training, I can’t think of a better tool than Write or Die. Sound a little uncomfortable? It is. But, it’s also effective. If you want to get better about sticking with writing when you’re supposed to be writing, this is an excellent training tool. When it comes to easy-to-use organizational tools, Trello is one of the best. Through Trello, you create project cards and assign them to columns. The traditional columns are “To Do,” “In Progress,” and “Complete.” This structure gives you a nice visual of what’s coming, what’s current, and what you’ve accomplished. You can also create custom columns to fit the needs of specific projects. You organize your columns and cards by boards. So, you might have a board for each of your clients, a board for your business, and a board for your Money-Making Website. When you click into a board, you can quickly see what you need to do, what you’re currently working on, and what you’ve already completed just by looking at the cards. Within a card, you can create a checklist, attach files, set due dates, and even share the card with other people involved in the project. It’s a simple but powerful tool that’s well worth exploring. Another good organizational tool that comes highly recommended is Wunderlist. Wunderlist is meant to help you organize everything from that work project you have due at the end of the month to the bills you need to pay this week to the party you’re planning for tomorrow night. For each of these tasks, you create a to-do list and then give items on the list target dates. You can access Wunderlist from your computer or phone to quickly see what’s highest on your list in terms of due dates… and also what’s coming down the pike. You’ve been generating ideas, capturing them, and writing about them when the time is right. The final two tools on this list are about making sure your work is at its best when you hand it over to a client or publish it on your website. Hemingway App is a favorite app among writers. It analyzes your writing for readability, long sentences, difficult sentences, passive sentences, and more. Problem spots are color-coded and easy to find, so you have the option of reviewing them and deciding if you need to make changes or not. Another really nice tool for editing is ProWritingAid. This tool analyzes your writing for grammar mistakes, repetition, hard-to-read sentences, sentence variation and more. It also gives you explanations as to why it highlights something as a problem, and in some cases makes suggestions for improving the flow of your words. As writers, we live in a pretty amazing time. 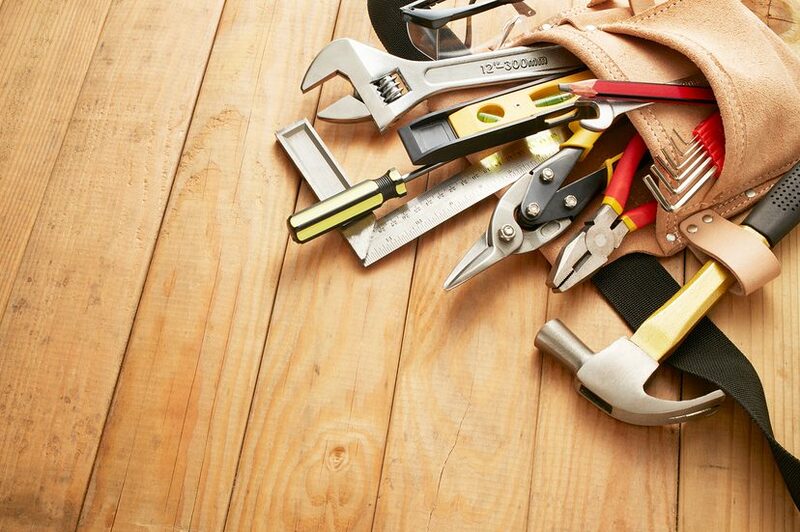 There are so many tools that, when used correctly, can make your work stronger. Give these a try and see if you don’t get better results. Great article Heather with some interesting ideas and a scary one (write or die). A couple of tools that I have found make a significant difference to my day are Dragon Naturally Speaking, which allows me to ‘type’ as quickly as I speak. The level of accuracy is pretty good and seems to improve the more that you use it. The other is Things which I find is easier to use than Trello and Wunderlist and the UX allows me to see at a glance what I have that is pressing as well as integrating my calendar so I can view appointments and other commitments.